And so ends the year 2011, and 2012 begins. And to celebrate this event, I actually have a present for you. Because the new program is now ready. As you can see from that picture, this program was created as a co-operation project between me and Ennea. 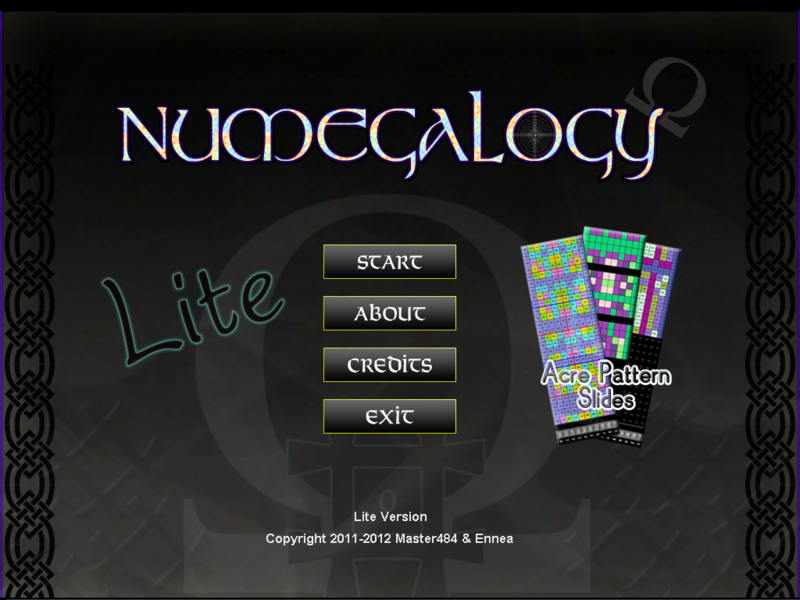 The Numgalogy system was originally created/discovered by Ennea, and then we teamed up to make this program; she made most of the graphics, while I programmed it. So, happy New Year 2012 to all ! Soon we'll see if the world really ends at 24.12.2012 or whatever. Although some sources said that it should have already ended at 2011. These sources included the "New Age Bible" Ra Material/Law of One. Although Ra said in it, that it should end approximately at 2011. But anyways, let's not insult the Ra Material too much. If you read only one book in 2012, then read the Ra Material. And if you have already read it, or are not just interested in these things, well, then why not read a good poker book? Who knows, you might actually start winning. Okay, boys and girls, it's that time of the year again ! But unfortunately I don't have any presents for you. And finally a small health tip: if it's something brown, then don't eat or drink it. Let's now follow this Thor Liberty story, since we have already begun. The explosives are being loaded back to the ship, and this time they'll be stored inside containers, like safety regulations require. "An exclusion zone of 1,000 metres will be imposed during the operation and airspace will also be secured. " Yeah, so that Santa Claus won't be hit, if the whole thing blows up in a pillar of flames. "A consignment of 69 Patriot missiles also found on the Manx flagged vessel was earlier taken to a Defence Forces storage facility for explosives. " C'mon, Allied troops in South Korea are in dire need of extra missiles, now that North Korean invasion seems imminent, lol. But hey, aside from the comedy value, there's a romantic side to this story as well. A cargo ship named "M/S Thor Liberty" was halted in the Finnish harbour of Kotka a few days ago, because it carried military explosives in an unsafe manner. The explosives should have been stored inside cargo containers, but they were not. Did they like roll freely around the floor, lol? An investigation was launched, and then they found out something else. The ship also carried 69 Patriot missiles.
" The missiles have been turned over to the Finnish Defense Forces. " ...but then got stuck in Finland.
" Neutrinos may or may not move faster than light, but regardless, they're special little things. They speed through the planet, and through you, and through everything; but, chargeless and puny, they interact with their surroundings so minimally that other particles hardly take notice. " The neutrinos are much like our Meritocracy Movement. We are everywhere, but still almost nobody takes notice, lol. And check out this picture in the end of that linked article. I wonder what kind of games would octopuses make and play, if they could. Hm, what a weird thought.
' The product was introduced in Finland this autumn under the brand name Lotus Flush & Go by the US-based paper company Georgia-Pacific. I myself see this specific toilet roll often, since "Lotus Soft Embo" is my favourite toilet paper brand. But I never flush the roll. Instead I throw it to trash. Because trying to flush it might be risky...the roll doesn't dissolve right away, and so it might get stuck somewhere in the pipes, who knows...So it's more safe to just throw it into trash. I wonder what might happen if I drank that "Lotus water"? Would I become as wise as Wikipedia is?
" Finnish researchers have developed a groundbreaking new method that allows scientists to study how the brain processes different aspects of music. The study is pioneering in that, for the first time, it reveals how wide networks in the brain, including areas responsible for motor actions, emotions, and creativity, are activated during music listening. " But seriously speaking, this discovery is quite remarkable. Although the people have always known this in some level or another, but now we have scientific proof. And WE found this out.